Nagoya Station is the central hub for arrivals to Nagoya since it is where the bullet train arrives. Besides shopping and eating, here are some other ideas of things to do in and around Nagoya Station. 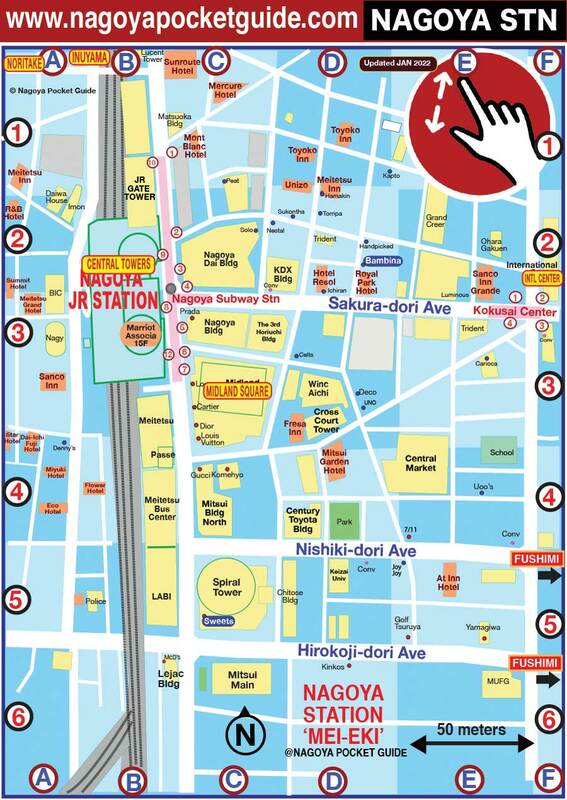 Click banner for a printable attractions map for Nagoya Station (PDF)! Rising 52 stories above JR Nagoya Station are the twin towers of Nagoya. The 13th Floor has a plaza offering restaurants with great views. The Marriott Associa Hotel reception is on the 15th floor, with rooms continuing upward, topped with a floor of more restaurants. A ten minute walk from Nagoya Station, or one stop on the Sakura-dori line, brings one to Kokusai Center station. The mammoth building right above is the Nagoya International Center, and on the 3rd floor is Nagoya International Desk, offering information and help for tourists and residents in English, Japanese, and seven other languages. The Noritake brand of ceramics has its own craft center with tours offered daily. The surrounding grounds have a well laid out garden and a restaurant. LOCATION: A few minute walk from Kamejima Station, one stop from Nagoya Station on the Higashiyama line. 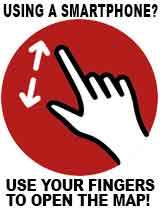 OPEN: 10am-5pm Tues-Sun. Closed Tues after National Hol. Located only 25 mins by train from Nagoya, Inuyama Castle is one of four castles designated national treasures in Japan. Built in 1537 it is considered Japan's oldest still original castle. Inuyama town is a nice walk about, with souvenir and novelty shops. LOCATION: Take the Meitetsu Rapid Express from Meitetsu Nagoya Station to Inuyama station. 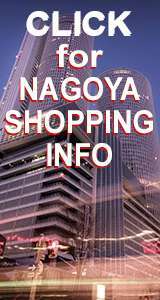 Printable Attractions Map of Nagoya Station (PDF)!